Are Parts of Michigan Governed by Shari'a Law? In the city of Dearborn Heights, Michigan, public schools began serving halal lunches in 2013. And in both cities this year, women have sued their respective police departments for requiring them to remove their hijabs during post-arrest booking. 1. Police will no longer require a Muslim woman to remove her hijab during booking. 2. The search and pat-down will be performed by a female officer. If one is not on duty, then the procedure will be performed by a female dispatcher or a woman from another police agency. 3. 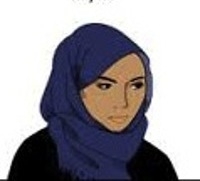 A Muslim woman will also be provided with special clothing and alternative head covering that will still allow her to veil her hair while in detention. Are these measures practical and adequate to protect public safety? Assuming that they are, at what point does "sensitivity" to some become unfairness to/unequal treatment of others? 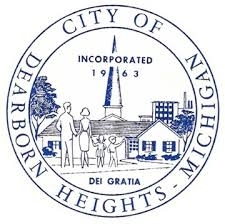 In its zeal to resolve the case and avoid potential liability under the federal Religious Land Use and Institutionalized Persons Act and the First Amendment's Free Exercise Clause, under which Malak Kazan sued, has Dearborn Heights opted instead to violate the Fourteenth Amendment's Equal Protection Clause and the First Amendment's Establishment Clause? 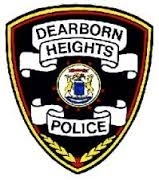 Will Dearborn's Police Department do likewise?